It’s easy to take advantage of personalizing your indoor space. A few pieces of furniture, carefully selected wall art, vases, lighting fixtures, area rugs, throw pillows – regardless of personal style almost every home includes some combination of these items. However, very few homeowners take advantage of their outdoor living space. For some, an outdoor space is nothing more than a few square feet of balcony space, but for those fortunate enough to have an entire yard, the opportunities are practically limitless. → Use water features. Flowing water has a calming effect – which is why fountains have existed within gardens and sacred spaces for centuries. A small fish pond with a manmade stream, a fountain, a swimming pool or Jacuzzi can help transform your backyard into a relaxing oasis. Even a simple bird bath can give your backyard that special edge. → Plant flowers and shrubs. Even if they’re only alive for a few months out of the year, flowers can bring any yard to life. A few strategically placed shrubs, flower beds and herb gardens can help turn your outdoor area into a lively space perfect for pensive personal moments or parties with friends and family. → Invest in comfortable seating. Nothing is less inviting to guests than hard metal furniture devoid of cushions. Instead, choose cozy chairs, chaise lounges and benches with plenty of washable cushioning. Additionally, a small café table and a few small chairs can make a perfect spot for an intimate breakfast or an afternoon glass of wine. → Add statues and accessories. To give your backyard even more personality, select a few garden statues or other accessories with character – such as recycled metal sculptures, elaborate panted bird houses, unique planters or large colorful rocks. 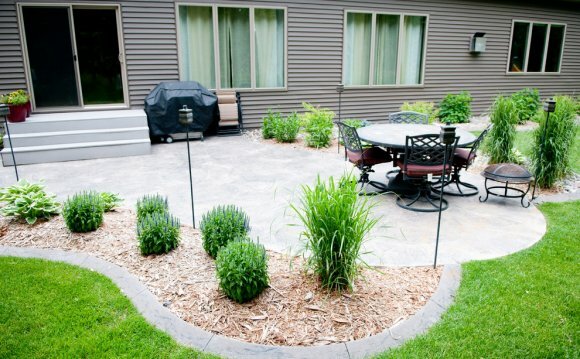 Just like your interior space, your backyard should reflect your own individual style.